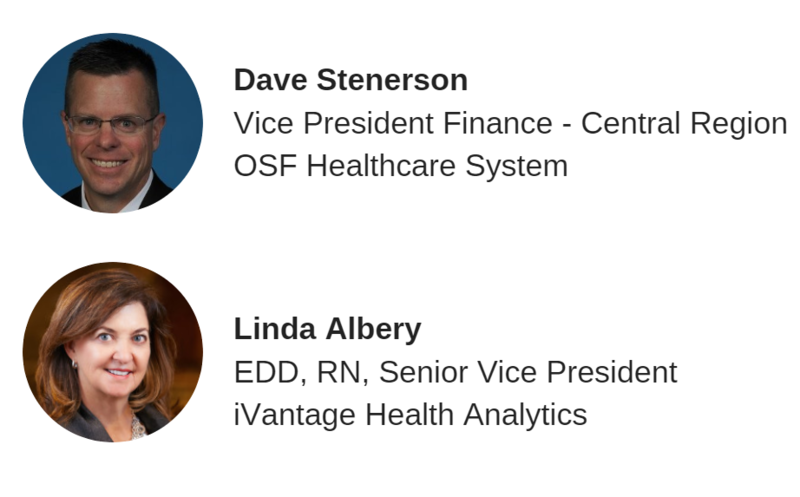 Join Dave Stenerson of OSF Healthcare and Linda Albery of iVantage Health Analytics in this webinar focused on how OSF Healthcare achieved meaningful and lasting improvements across the entire organization – resulting in savings upwards of $160 Million and still counting – all while maintaining their exceptional standards for patient care. The historical approach towards managing performance improvement at OSF Healthcare and the changes over time. The cultural factors and barriers towards the adoption of a data driven. performance improvement mindset and how to overcome those challenges. What are the key drivers that have led to a successful performance improvement orientation at OSF Healthcare. The value that the use of technology and data has had on this transformative journey. A look to the future of performance improvement at OSF Healthcare – where is the organization headed in the year 2018 and beyond.